We were invited round to dinner last week by some of our neighbours for the first time. It was a really lovely evening and I wanted to send them a little note of thanks - this card is what I came up with. I've been trying to mix up my colours a little bit recently so went for Real Red, Pool Party and Pumpkin Pie here - does it work? 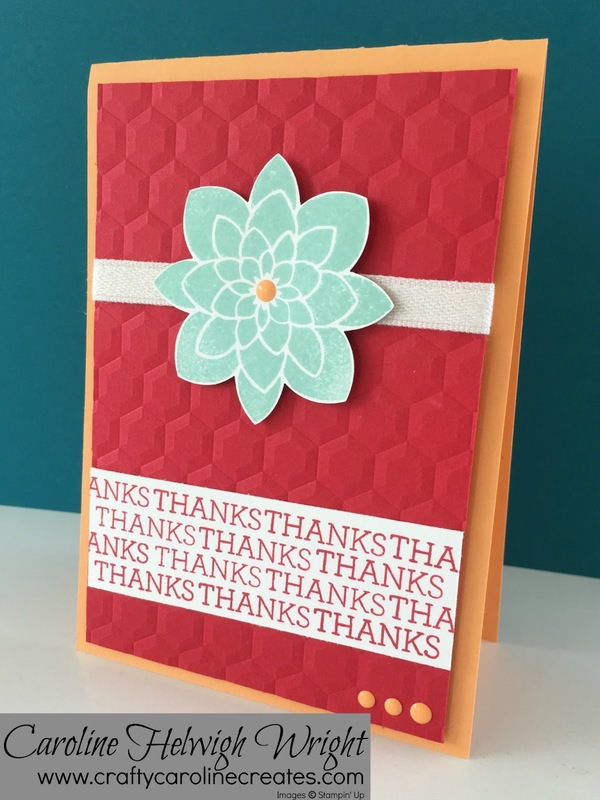 The sentiment and the large flower both come from the soon to retire Crazy About You stamp set. This is a really great mix and match stamp set. 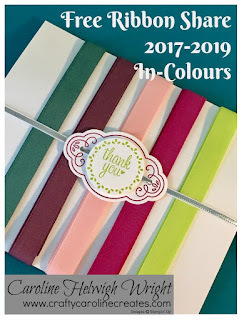 The Hexagon Embossing Folder gives a good wow factor to the background, I am so pleased this has made it into the new annual catalogue and will be around for us to play with all year. There is a matching punch for the large flower which is reduced in the Retiring Sale at the moment. I haven't seen our neighbours since I slipped this through their letter box a few days ago. I guess we will find out soon, we are having them and a few other neighbours over for a BBQ this afternoon, fingers crossed the weather plays ball. Don't forget all May customers recieve a free share of the new in-colour ribbons - click HERE to find out more.